These are global commitments, as relevant to Canada as they are to Croatia; they apply equally to governments and societies all around the world. Although not a UN member state, Kosovo participated fully in the design of the goals and there is Kosovo DNA in this global framework. 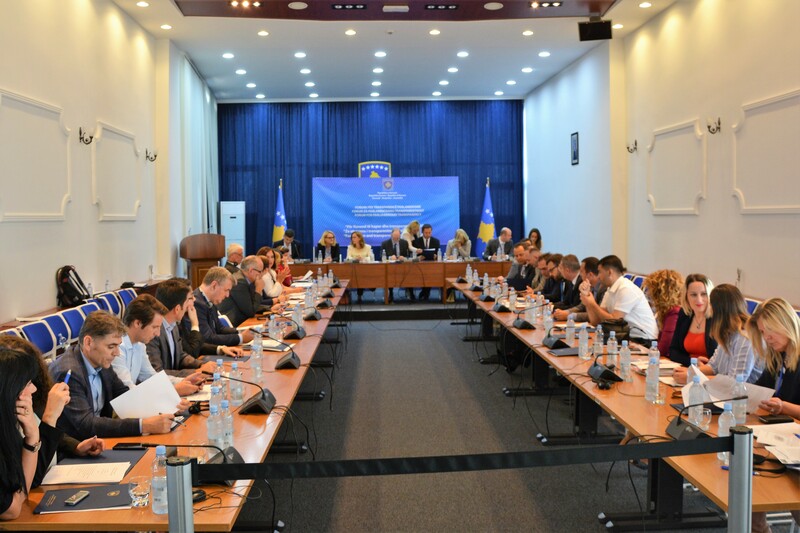 The Kosovo authorities expressed their commitment to the Sustainable Development Goals on UN Day in October 2016. Since then, the UN Kosovo Team has been working with public institutions, civil society, private sector and youth, to raise awareness about the Goals and to see how they can be best applied in the Kosovo context. Engaging in this global process is a win-win for Kosovo. The Goals themselves are fully aligned with and complementary to the Stabilization and Association Agreement with the European Union and other requirements for EU accession. 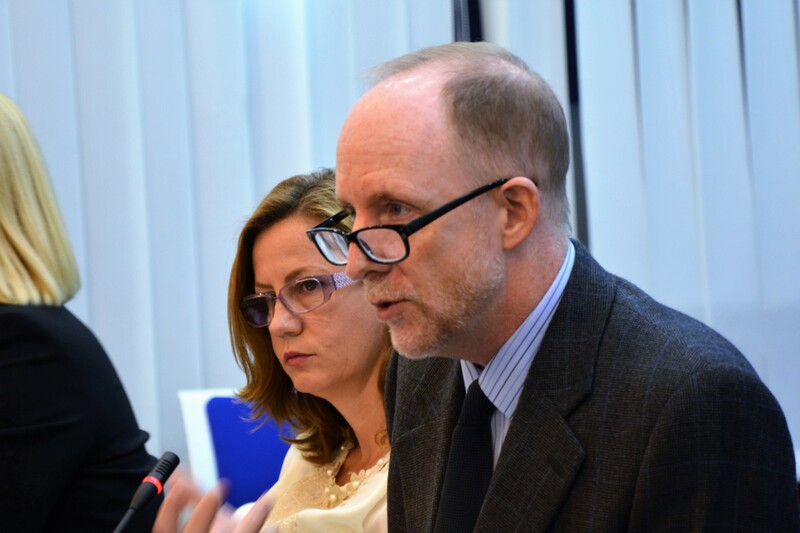 In addition, any action that Kosovo takes to demonstrate its involvement in the achievement of the Goals supports the case for inclusion of Kosovo within other global development processes. Turning to Goal 16, Peace, Justice, and Strong Institutions… how is this goal relevant to Kosovo? I would argue that beyond the obvious answers (fighting corruption, increasing access to justice, and combating terrorism and organized crime – all of which are also requirements for joining the EU family), there are some more fundamental ways that this Goal can help to strengthen democracy and prevent conflict. The central premise for including Peace, Justice and Strong Institutions as one of the 17 Sustainable Development Goals is, in my opinion, the idea that, in today’s world, it is increasingly important for nations to find practical, effective ways to manage growing diversity. In the meantime, that means finding ways to manage this diversity and to prevent or at least to constructively manage conflict. Again, this is not just a challenge here in Kosovo or in the Balkans. It is a global challenge. The key, in my opinion, lies with the related concepts of dialogue and deliberation. Dialogue means, simply, conversations that are not about winning or losing, but rather about suspending judgment and examining issues in an objective manner. Without personalizing. Without immediately assuming the other person is wrong. Without taking offence or confusing criticism with lack of respect. Unfortunately, here and in other parts of the world, this confusion happens too often. If a political leader criticizes, for example, the press, and the press responds in kind, this is nothing personal. This is not about lack of respect. Ideally, we have enough confidence in ourselves that we do not have to immediately push back whenever we encounter an argument (or statistic) that we find disagreeable. Dialogue, when done sincerely and without the need to “win”, can produce amazing results. Similarly, deliberation is both a simple concept but surprisingly difficult to apply. It means that we are, indeed, “deliberate” in the way that we design laws, or create strategies, or regulate the work of the public sector, etc. It means taking the time to consider multiple viewpoints and alternative means of achieving goals. It requires patience and an understanding that acceptance of diverse viewpoints can enrich the quality of public policies, laws, and regulations. Yes, there’s always a bit of a feeling of chaos and confusion along the way but, trust me, there’s great value in not rushing and in being open to all sorts of ideas, even ones that may seem quite crazy at first. So, in closing, we cannot avoid conflict within the democratic model or in our increasingly diverse societies, but we can manage it effectively. Indeed, conflicting ideas, when they meet together in a well-managed process of dialogue and deliberation, can produce extraordinary results. I’ve seen it. And I encourage you to give it a try.